Became invited for a morning hunt yesterday to a hunting area north east from our large area. Pretty soon the fallows started to move and I saw around 40 mostly hind and calves. I shoot one calf and let four pass that I had close by. 10 boars managed to sneak out when we made a short press hunt through some thickets. Yesterday I saw a big boar around 8 PM on one of our beet fields. I sneaked in on him but he was gone when I arrived. I stood on the field and scouted the thicket for an hour and suddenly he appeared again. 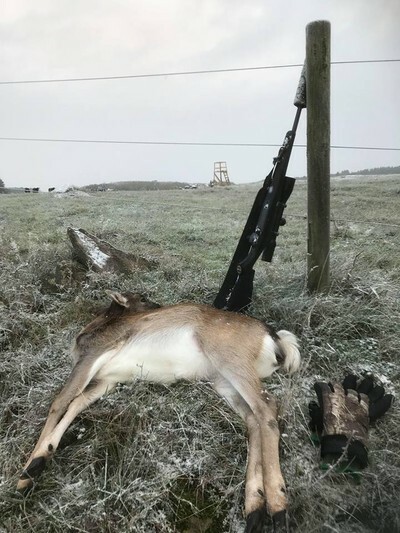 He came out on the field and on a distance of 30m I pulled the trigger and he instantly went to the ground. Luckily my hunting buddy was out hunting so he helped be bag the big male boar of 130kg. I will save the trophy on this one. The teeth looks really nice and I estimate them to be around 15 cm long. Last week I was out protecting our crops. 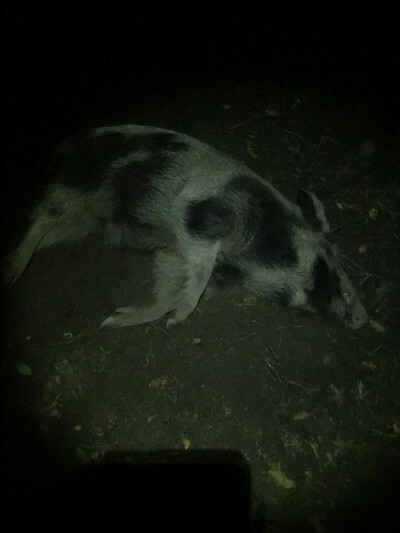 The evening before my hunting buddy noticed a group of sows and piglets but the wind destroyed the hunt for him. After a while around 9 PM the boars came out of the forest starting to feed the new planted seed. 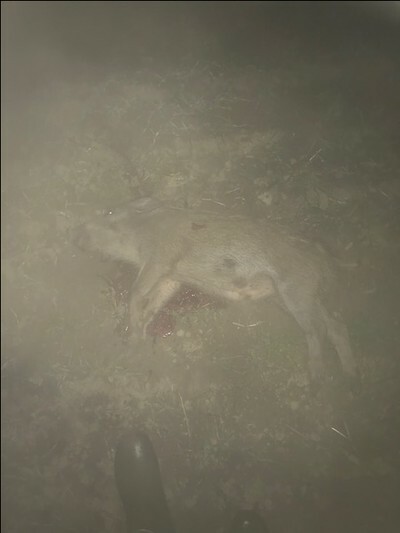 They came over my steps and smelt me but I was fast enough to shoot a small 20kg piglet. 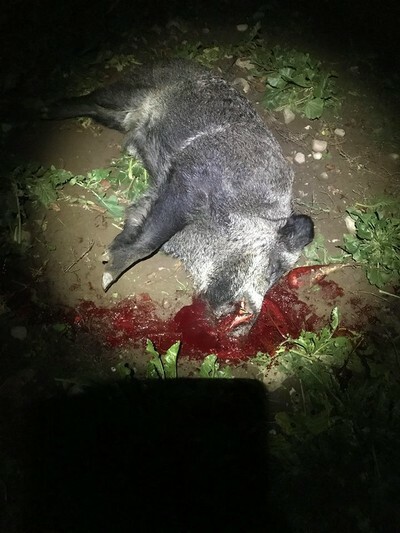 Two days after my other buddy shoot a colourful male boar at the same field. Tomorrow we will go out after them again they tend not to understand this is a very dangerous place to feed at. This Monday the season for red deer started here in the south of Sweden. We have six animals on our license for three of the areas I hunt on. I only saw one mature male (12 pointer) which is not allowed for us to shoot. Anyhow after it became dark I decided to go after the boars instead and I was fortune and got a 90kg male boar. When I drove back home I noticed some 15 pigs on another of our fields but it seemed to be mostly sows and piglets so I just scared them away.